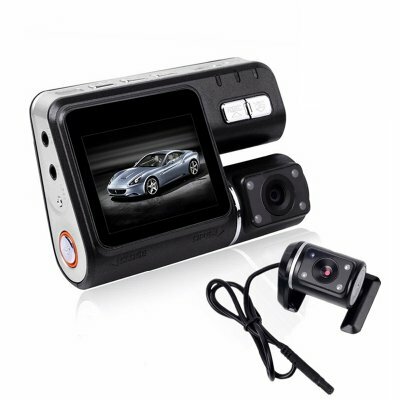 Successfully Added XC2 Full HD Car DVR - 12MP Sensor, FHD Video at 30FPS, G-Sensor, Loop Recording, Ignition Start, 2 Inch Screen to your Shopping Cart. 12MP CMOS sensor for full HD image quality. G-Sensor will detect any sudden movements and save the recordings. 2 Inch screen lets you playback the videos roadside. Auto ignitions start so you never forget to record. The XC2 is a Car DVR that brings full HD recordings of all that happens on the road. A 170-degree wide angle lens gives great coverage to the front of the car so anything happening ahead of you on the road is sure to be captured. The 12MP CMOS sensor captures crisp details at 30 FPS when shooting in FHD 1080P. It can also record at 720P when running in 60FPS mode which is suited to the faster pace of highway driving. A 2 inch LCD screen lets you playback the action and helps you check the camera is lined up to correctly when installed. This also offers a fine rebuttal against any accusations so you can settle matters instantly with accurate evidence of events as they actually unfolded. The G-sensor on this camera will detect any sudden movements such as evasive maneuverers or sharp braking and lock the current video segment to prevent it from being recorded over. This ensures all the important footage you need is saved to aid you and should the worse happen you have the best defense around. AS this car DVR has an auto start mode it will power on and commence recording anytime you start the car. This ensures you never forget to start the recordings and means you'll always have a witness that's on your side.